This is a 30 lesson course designed to offer gospel centered teaching on losing weight. It is ideal for personal study as well as group study. The course book is available on Amazon. Other retailers will be available soon. The Leader's Guide is in the publication process and should be available by May 2019. Julie writes, "This course rocks your world! Yes there is suffering involved but unlike with fad diets this suffering has a purpose that is far greater than losing weight. I lost 9 pounds during this course." Jodi writes, "I have completed the Setting Captives Free Weight Loss course; I lost 15 pounds. I have recommended this course to all my friends. It is wonderful, it helped me keep my focus on Jesus. It was encouraging and not condemning. Anyone can have a changed life through Jesus Christ! Praise God!" Wasseem writes, "The Setting Captives Free Weight Loss course was eye-opening from the very first lesson. The lessons were great reminders of why Jesus went to the Cross and how through Christ all things are possible.The physical changes I have experienced were also incredible. I weighed myself once about a week ago, and I was down 25 pounds! Erin writes, "This course was a breakthrough from years of fad dieting and guilt. It is also developing freedom in other areas of my life, both emotionally and spiritually - which is the ultimate goal. 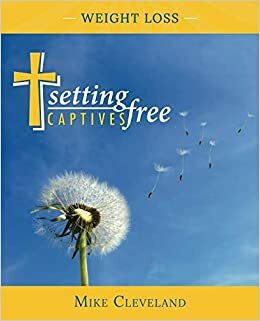 Maggie writes, "I recommend the Setting Captives Free Weight Loss course; it was life-changing. I have lost 11 pounds by taking this course. The revelation that I was crucified with Christ and the understanding that suffering with Christ is a gift, has empowered me to live differently. I am thankful for this course."